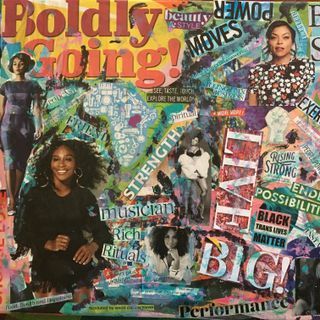 Adaora and I created our 2017 Vision Boards this week! We brought out the chips, salsa, guacamole and inspirational magazines and had a great time. Creating a vision board is a great way to begin with intention and purpose. The process takes the ideas that are in our mind and subconscious, and visually displays them for us to see. If you have not created one this year, I highly recommend it! After you have created the vision board, what comes next? What are the practices, mindsets and ... Más informaciones tools that will allow you to bring your dreams to fruition? I’ve created a FREE - 3 part video course - designed to answer those very questions. It will walk you through the everyday actions and practices that cultivate achievement, confidence, and fulfillment. I am really excited to share this with you. I hope you join me on this learning journey :). It is a pleasure to know you my friend. As always, I am wishing you peace and blessings.